Great experience. Friendly knowledgeable staff. My trip here made me rethink what the car buying experience is. Dave was an amazing guy to work with and hang out with. Dave along with Zander were so patient with the hiccups and process and really did all they could to make my purchase happen. 10/10 recommend. Had such a fantastic experience buying my truck here 5 years ago bought my wife a car here a few months later. 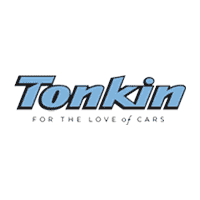 Just traded in the truck, on my 3rd Tonkin vehicle, sales team is no pressure knowledgeable and easy to work with. Highly recommend buying here if you want a positive car buying experience. I love the new Durango check them out if you haven’t driven one lately.